Guitar teachers often struggle with keeping students interested. A lot of beginning guitar players want to be able to play something right away, and it’s always a good idea to accommodate them. Teaching students to play something, even if it’s only a new song every other week, is a great way to keep up their interest and make them feel like their lessons are actually taking them somewhere. One of the best ways to do this is to introduce students to easy tab guitar. You can find easy tabbed arrangements of everything from holiday classics to popular rock and country songs. These easy tab guitar arrangements typically take no time to learn and can really make a beginning player sound accomplished. 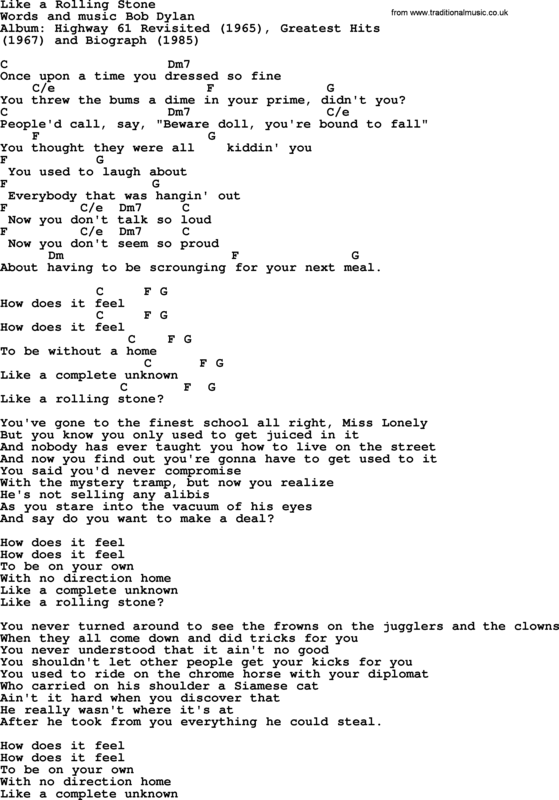 Check out this example of the Bob Dylan song “Like a Rolling Stone,” which has been covered by countless other artists. This is an easy to play song if you just use the chords and sing along. I haven’t seen a lot of easy tab guitar versions of it because the song isn’t complex. Playing the chords and randomly picking the strings of the chords individually gives you a nice, easy to listen to representation of the song. Listen to the song and give it a try. You can add to it later or refer to a more standard arrangement, but it’s fun to play and doesn’t really require tab. The next example, America’s “Horse with o Name,” shows the chords laid out in tab and then introduces the rhythm figure used throughout the song. It looks a little more complex than it actually is. The dotted eighth and sixteenth note pattern is easy to play once you get a feel for it. The key is the timing and the backbeat. Listen to the recording and get an idea how it sounds before you attempt it. That will make it a little easier. You’ll note that this version has more than one guitar part, but you can combine them into a single arrangement or just play one of the parts to simplify even more. There are lots of easy tab guitar sites online that offer easy arrangements of everything from the simple power chord magic of the Judas Priest classic “Livin’ After Midnight” to the beautiful strums found in Bob Seger’s “Night Moves,” shown below. Notice the tabbed strum pattern at the beginning of the piece. That’s it for the entire song. If you’re a guitar teacher, check out a few guitar tab websites and download some easy to play stuff for your students. It will keep them interested, boost their confidence, and advance their skills at a much quicker pace.